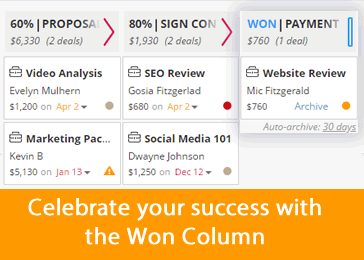 Celebrate your wins by dragging and dropping your pending deals to the Won column. Outlook / Office 365 users: Send personalized emails at scale! 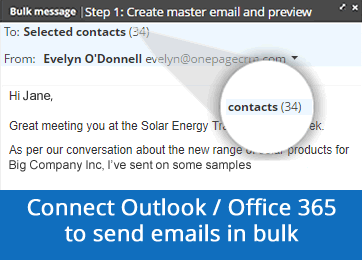 Connect your Outlook /Office 365 account, send emails in bulk & create templates from inside OnePageCRM. 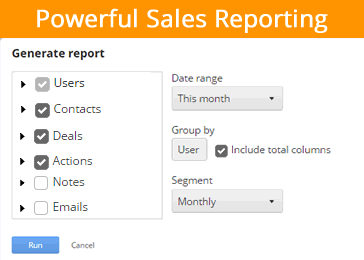 Get complete visibility over your team's performance - generate, save and email sales reports.